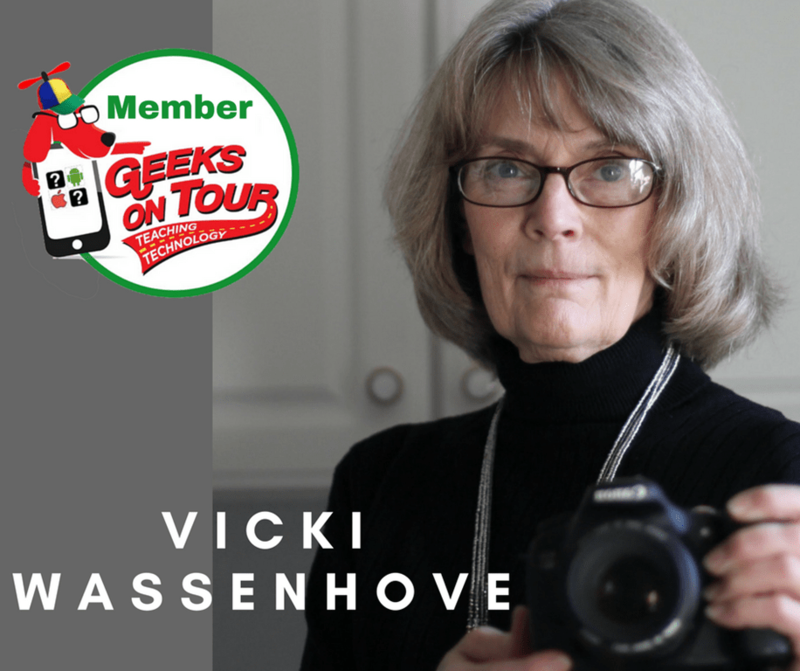 Teacher, photographer, webmaster, SIG leader, volunteer—these are but a few words that describe Vicki Wassenhove–as long as you add the word OUTSTANDING in front of each of them. Vicki graduated from Northern IL University with a Bachelor’s degree in Art Education and from Western IL University with a Master’s. After teaching art her first two years the in the States, she taught overseas for the Department of Defense at a US Air Force base high school in Chateauroux France where she married her husband, Lee. Returning to the US, she held various education positions in a rural school district near Moline, IL throughout her career, primarily as a K-12 teacher and supervisor of art. Vicki didn’t get involved much with technology until finally buying a computer in 1999 after retirement. “When we finally bought a PC, everything seemed so foreign to me. I’d been using the right side of my brain all my life and wasn’t sure I’d be able to adapt. My husband and I struggled on our own for a few years, taking little basic classes at the library and getting help from friends. I finally purchased a couple “Dummies” books and even one on web design. A computer whiz friend had suggested I join the Quad Cities Computer Club (QCS),” she recalls. That invitation opened up a whole new world for Vicki. Within two years after joining QCS, she was asked to be a board member. At the time, the Board was investigating ways to attract new members, and it came up with the idea of offering a series of three free computer classes to people in the local community. It also offered a continuing Computer Basics SIG (Special Interest Group) for those who wanted to join the club after the initial three classes. Because of Vicki’s teaching experience, she was in charge of organizing the curriculum and helping team teach. Over the last 13 years, she has used her teaching expertise to try lots of new things to help others by giving general meeting presentations, conducting “mini” SIGs on Publisher, PowerPoint, Picasa, Website 101, Computerized Investing and other topics. Because of the success of these efforts, Vicki was named “Special Events Coordinator” where she organizes multiple visits with speakers for the QCS. That’s how she learned of the Geeks on Tour. 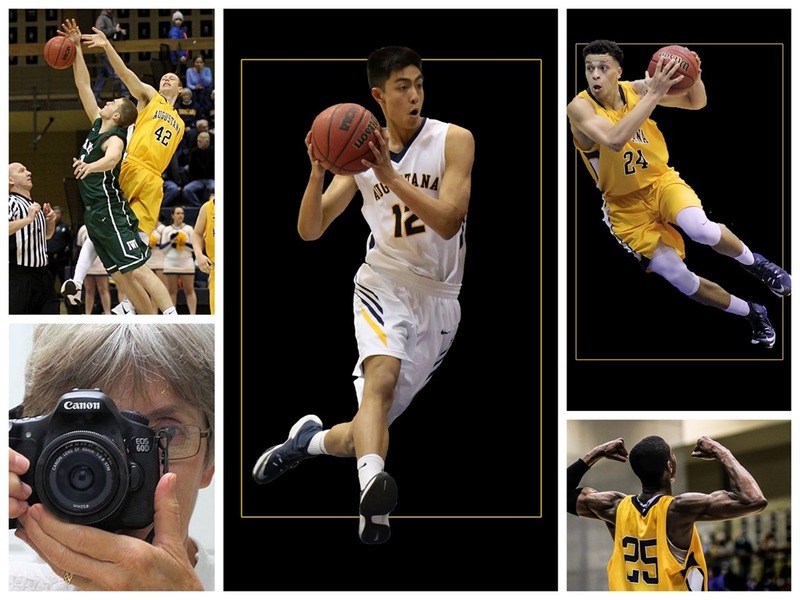 Some examples of Vicki’s photography as she develops a specialty in sports photos in her local community. As a result, Vicki took over leading the Digital Media SIG covering digital photography and photo editing. She brought in a lot of guest speakers and had to research everything she presented. 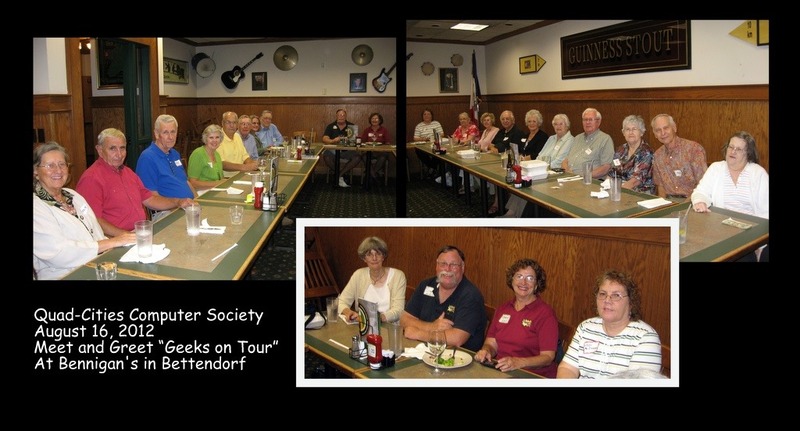 In the process, she learned so much that she finally advanced beyond her point and shoot camera and joined the local camera club which gave her more help and was a great resource for more guest speakers at her SIG. Vicki has been the QCS Webmaster since 2007. Her website once garnered first place honors in the national organization, the Association of Personal Computer User Groups. And this year, she was named co-winner of APCUG’s National Volunteer of the Year award in acknowledgement of all of her tireless work for the Quad-Cities Computer Society. Mrs. Geek’s note: We have Vicki to thank for introducing us to Computer User Groups and the Assoc. of PC User Groups – APCUG.org. Thanks to her we now present to computer clubs all over the country.